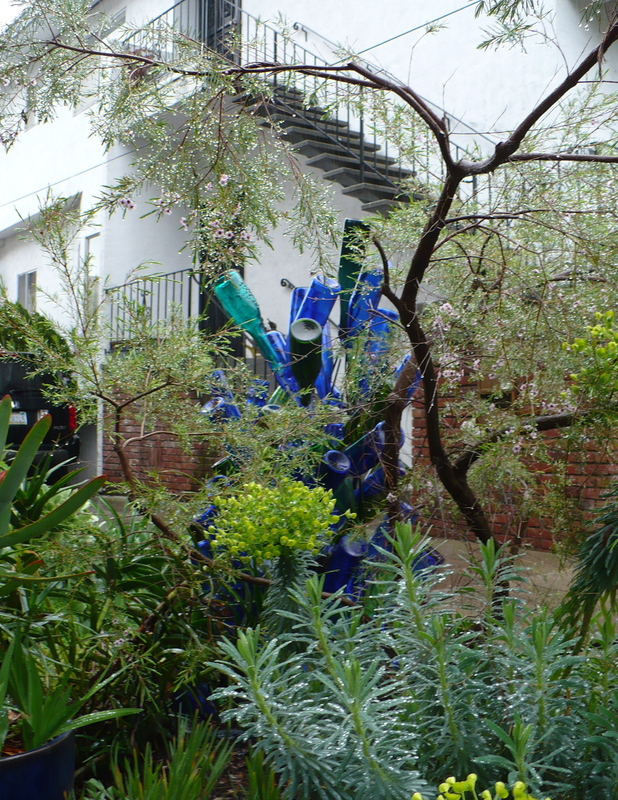 Continuing with the “blue” theme of yesterday, here’s a shot of a rare Berkeley native: the Arbor ampularum caerularum, or the tree of blue bottles–here in full flower! 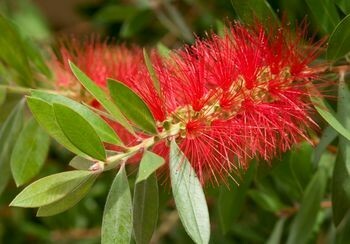 These low-growing trees are a distant relative of bottle brush tree, a bloom of which is pictured below. A story in this morning’s San Francisco Chronicle (“Math buffs awed by Odd Day”) points out that today, 5/7/09, “is one of only six this century that will feature three consecutive odd numbers”; wow! Come to think of it, today is already the third of the six: 1/3/05, 3/5/07, 5/7/09, 7/9/11, 9/11/13, and 11/13/15. Maybe this Odd Day is extra awesome, though, since tomorrow is Mike’s birthday (happy birthday Mike)! The same Gordon is promoting the joy of Odd Day by offering a prize of $579 “to those who celebrate the date with the most zeal or who get the most people involved in an Odd Celebration” (see more about the contest here)! ‘Scuse me’ he said. He’s like 4. ‘Could you help me? There’s a bee.’ It was in the grass near the curb so he couldn’t get out of the car. So I killed it for him. What a cute kid.